After pre-opening in December 2018, The Dixon hotel officially launched in January 2019. 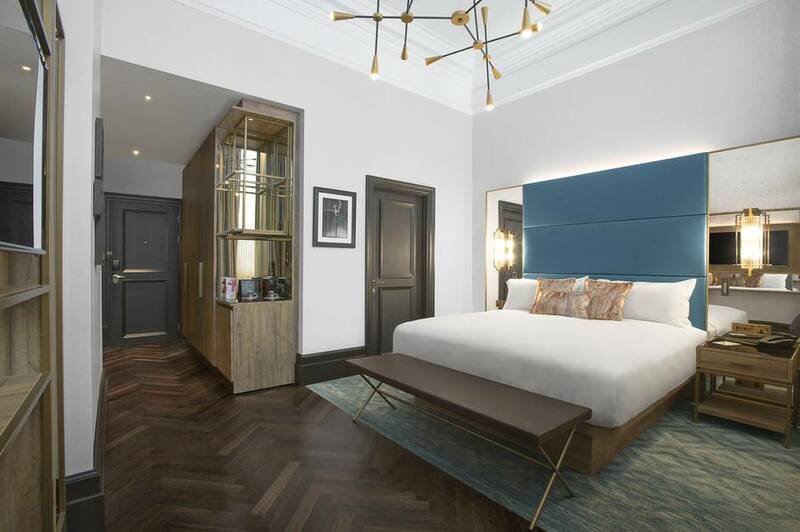 Formerly the home of the Old Tower Bridge Magistrates Court, the Autograph Collection Hotel transforms this historic building into a traditional boutique hotel offering 193 individually styled rooms and suites. Named after John Dixon Butler - the architect who originally constructed the Tooley Street building in 1905 - the hotel mixes old and new. The 193 rooms, including nine suites, present an artful mix of heritage design - simple brickwork, tall windows and modern furniture - and modern art. Old cell keys have been recreated into artwork while pieces of furniture reclaimed from the old courthouse have been repurposed. This echo of the building's past as a courtroom continues into the Provisioners restaurant, run by leading restaurateur Clive Watson (Riding House Cafe). Curated artworks from local artists hang on the walls and all rooms come with state-of-the-art technology, including smart TVs and complimentary ultra-fast Wi-Fi. Are you booking for a group of people? If you are making a booking for a group of people and require over 10 rooms, you may prefer to speak to the Group Booking Department for The Dixon bookings. Special deals can be arranged for groups, including discounts and arrangements for adjacent and inter connecting rooms if required. Call the Groups Reservations Department on 020 7292 2307. The best way to book a group deal is to complete the online form for group reservations at The Dixon. What are the best dining options near The Dixon London? The Dixon gyms, sporting activities, health & beauty and fitness. The best pubs near London The Dixon. The Dixon clubs, bars, cabaret nights, casinos and interesting nightlife. Where to have your meeting, conference, exhibition, private dining or training course near The Dixon. From cheap budget accommodation to luxury 5 star hotels see our discounts for The Dixon hotels, including The Tower Hotel from 86% off.